Mother's Day Brunch - Saturday, May 4, 9:30-11:30 a.m.
Ladies, join us for a lovely brunch! $15 per guest. Please sign up at the Info Center. Sermons are always Bible-based with an eye toward life application and cultivating mature followers of Christ. Women's Friday Morning Bible Study - April 26 through May 24 from 9:15-11:15 a.m.
James is a book about growing up spiritually and developing a “living faith” that is characterized by godly behavior and good works that display the love of Christ. Sorry there is no child care available for this study. Sign up at the Info Center. At Granite Creek, children are a priority. Being God's Man... in the Search for Success, Tuesdays, through June 4, 7:00 - 8:30 p.m. Learn how God planned from the beginning for you to fulfill His purposes in community with other people - people in your church family, small group, and the world around you. Book $15. Sorry, no child care available. Baptism - Sunday, April 28 at 12:30 p.m.
Baptism is an outward expression of an inner change. Please sign up at the Info Center to attend required class held Wednesday, April 24 at 6 p.m. or Sunday, April 28 at 9:30 a.m.
FREE Family Movie Night! Saturday, May 4 from 6-8 p.m.
STAR WARS: RETURN OF THE JEDI! Wear your favorite Star Wars costume, shirt, or pajamas! Snacks will be available for purchase. Proceeds benefit Children's Ministries. 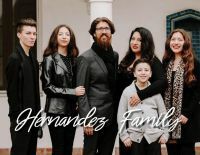 Community Yard Sale & Boutique, Saturday, May 11, 7 a.m. - 12 p.m.
Easter this Sunday at Granite Creek, 9:30 & 11 a.m., with Hernandez Family Band! Self-sufficiency is a temptation every man faces. Just as in David's life, God often allows us to experience the consequences of self-sufficiency so that we can rediscover our need for his leadership and empowerment in our lives. This group is for Leadership training for those interested in leading a group in the future. Book cost is $10. Meeting in the Creekside Room. and the world around you. Books $15. Sorry, no child care available. Sign up at the Info Center today! Learn four spiritual habits that will foster continual spiritual growth, and transform your life. This class is offered in two parts, with coffee and snacks during the 9:30 am service on Sundays. Granite Creek Community Church (GCCC) is a Spirit-filled church in the college town of Claremont, CA where it's all about relationship, not religion. Come celebrate with us Sunday mornings at 9:30 am & 11:00 am and at Sunday Presence Night 6 - 7:30 pm. In addition to three Sunday Services, we offer classes, small groups, training, youth opportunities, college groups, and various seasonal events throughout the year. At Granite Creek, kids are a priority. One of our values is to see kids grow up to become everything God created them to be as they develop a personal faith and relationship with Christ in a safe and loving environment. We partner with parents to provide experiences that will meet their child's mental, emotional and spiritual needs, so that their children will become fully devoted followers of Christ. GCY is a ministry designed for 7th through 12th graders, to help students engage in a dynamic relationship with Jesus Christ, to experience God in a true and relevant way, while in a relational, safe, and relaxed environment. To show every student that God loves them and has an amazing plan for their lives. We know youth have real struggles, and it is our desire that each student know our team is genuinely there to listen, pray and care for them. FIDELIS is the college and young adult group at Granite Creek Community Church! We're excited to encourage leadership for the next generation! Statistics show that we are losing a generation in the church (18-30 year olds) and at FIDELIS we aim to strengthen and support this generation as they define their faith walk and work through issues unique to them. We are people-driven church, not program driven. Ministries exist to meet the spiritual, emotional, physical, and psychological needs of people. But, they also provide opportunities for members to grow in maturity in Christ through giving to others. GCCC ministries provide opportunities for you to serve others and actively pursue fulfilling God's purposes for your life. Thank you for joining with us in what God is doing at Granite Creek Community Church! There are a number of different ways you can give. To give a one-time financial gift via credit card, click this link to be taken to our secure payment processor. You can also schedule weekly, monthly, quarterly or even annual gifts.